“Stirrings of Change to a Colorblind Military,” examining the Korean and Vietnam wars and today’s war on terrorism. Artifacts include Civil War badges, weapons and photographs, Flag of the 9th Regiment U.S. 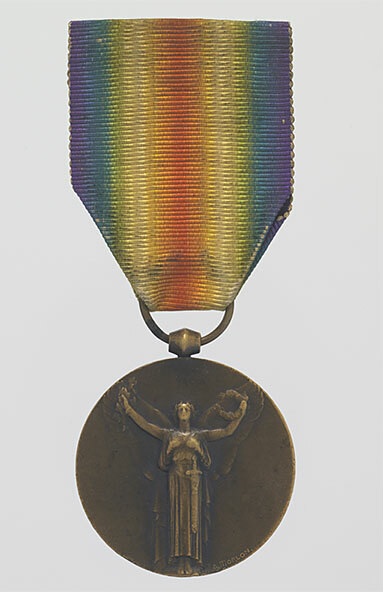 Colored Volunteers, a WWI Croix de Guerre medal awarded to U.S. soldier Lawrence McVey, and various Tuskegee Airmen materials.